Mr. Corso’s responsibilities at Hovde include evaluating financial and strategic options of financial institutions, including mergers and acquisition and capital raising transactions, as well as providing strategic advisory solutions to banks and thrifts across the Southeast. Mr. Corso has over 10 years of experience in the financial services industry, having worked directly with many banking and financial executives on evaluating and implementing strategic advisory and financial solutions, including balance sheet management, credit, and capital raising solutions. In addition to transactional work, Mr. Corso provides clients with strategic advisory services, functioning as primary resource in structuring and implementing complex merger and capital markets transactions. Prior to joining Hovde, Mr. Corso worked for Kimberlite Group in New York, where he was a Director in their financial institutions group covering community banks and specialty finance companies. 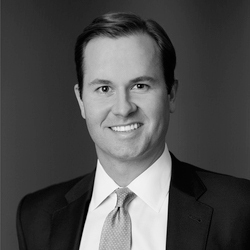 Prior to joining Kimberlite, he was a Vice President at Ranieri Partners, an alternative investment platform established to capitalize on pricing anomalies and market dislocation across distressed sectors, focusing primarily on the financial services sector. Before joining Ranieri Partners, he worked at Sandler O’Neill & Partners, a full-service investment banking firm and broker dealer focused on community and regional banks. A native of Pinehurst, North Carolina, Michael received his B.S. in Business Administration from The Citadel, The Military College of South Carolina, and an MBA from the Terry College of Business at the University of Georgia. He is also a Chartered Alternative Investment Analyst. Mr. Corso is also licensed with the Financial Industry Regulatory Authority as a registered representative and holds the following licenses: Series 7, 24, 63, and 79. Mr. Corso is married with one child, and resides in Charlotte, North Carolina.